As I have been building this blog, I used many photographs of my quilts. These photographs had been taken at different times with different lighting. 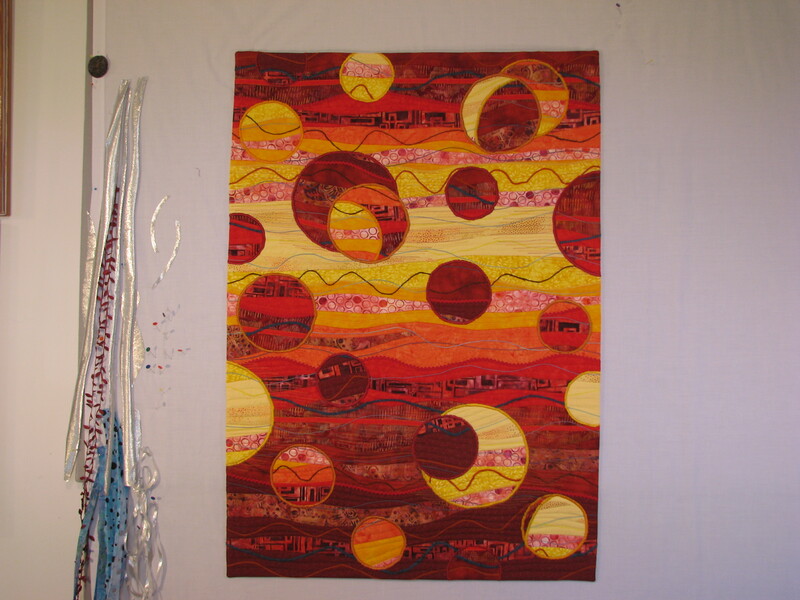 The light in my quilting studio is pretty good, but is only really good for photography on sunny days. So there was a lot of variation in the quality of my photographs, and some have much better color accuracy than others. 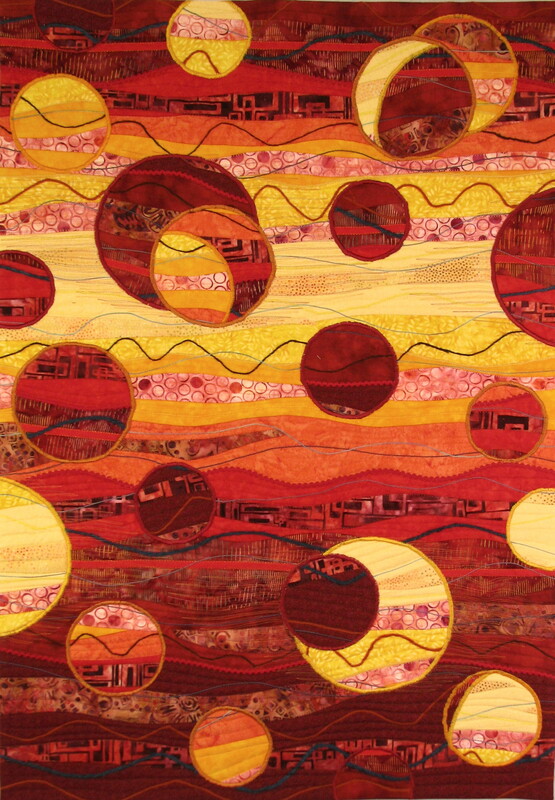 For a good article about quilt photography, go to www.adventurequilter.com/e-Learning/Articles/Photography_Quilts.html . Before you worry about the details I am discussing here, you need to do the best you can to get a quality photograph. I am going to talk about what to do with that photograph, once you have it, to get the nicest picture to meet your needs. 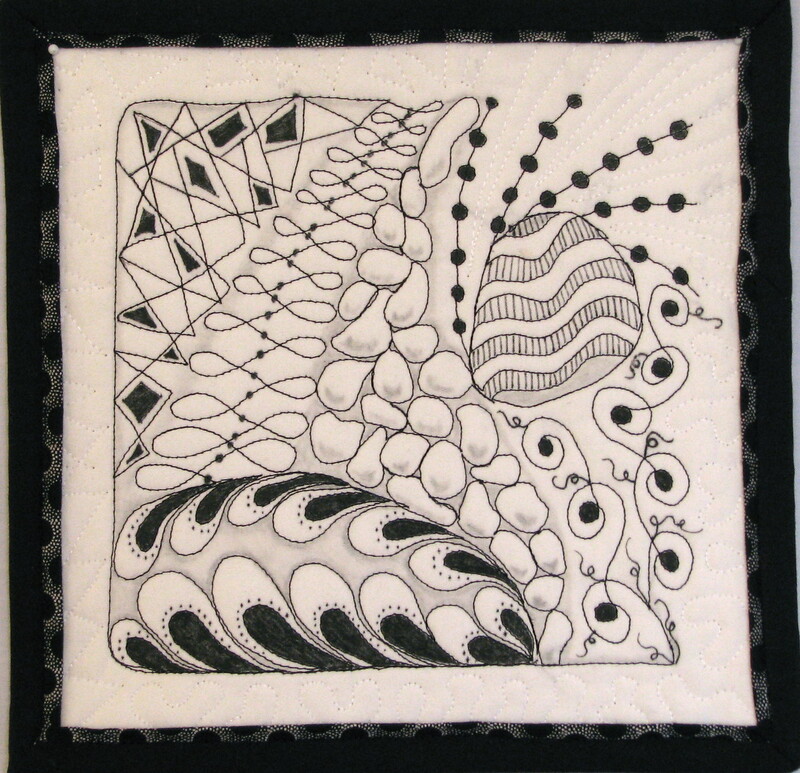 When you are entering a quilt in a juried competition, the entry requirements will state that you must submit photos that show the entire quilt including the edges, and then one or more closeup photos to show detail. 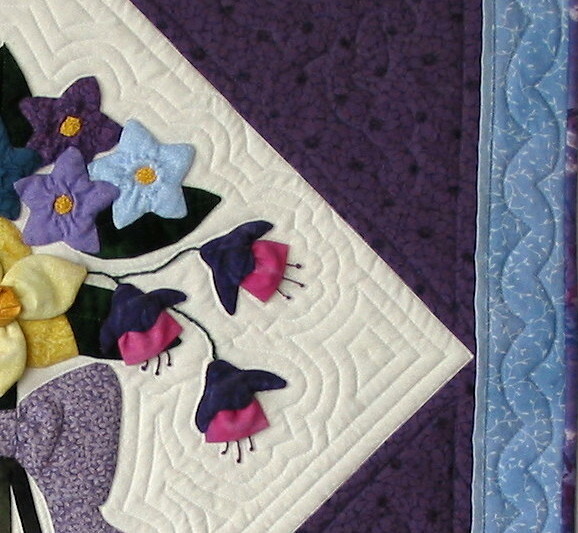 For use other than competition, it is often better to crop out the edges of your quilt to avoid the distraction of the background. You will have to use your own judgment to decide whether or not to crop. My focus here is on the use of two features of your photo editing software – the ability to trim or crop the photo, and the ability to adjust the exposure. If you have a Windows based computer, you probably have software called Windows Photo Gallery that can do these two things. If you have a Mac you will have something similar. Or you may have software that came with your digital camera. Adobe Photoshop or Photoshop Elements can do this also, as can most similar packages. My point is, your computer can probably do this even if you don’t know it can! First, open up a photo in whatever software you are using. Look for a menu selection that says “Fix” or “Edit”. Under that menu, there will be a choice to crop or trim the photo. The other option – auto correct or autoexposure – is probably also there. And you may have many other choices. But I am only going to show examples using these two features. You will have to learn how to use the trimming or cropping feature of your software. It’s usually pretty easy and you will probably just have to draw a box around the parts of the photo you want to keep, push the “trim” or “crop” button, and then approve the result. The autocorrection or autoexposure is even easier; you just push the button and watch what happens. 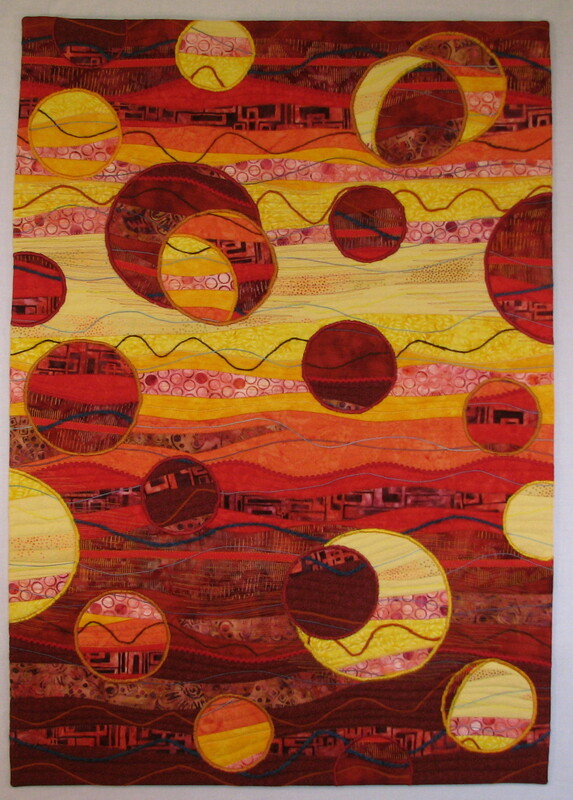 First, my quilt “Fireballs” on the left as I photographed it on my design wall. The photo on the right shows the photo cropped as it would be for a competition, with the edges showing. And below on the left as cropped for use here in my gallery. See how much nicer it is without the distracting background? And below on the right is the last magic, when I used the auto exposure correction feature. I selected the autocorrect (or autoexposure, whatever your software calls it) and basically just pushed the button. The amount of improvement you get varies with each photograph. Sometimes it is an astounding improvement, sometimes it is subtle, and occasionally the auto correction makes the photo worse. When that happens, just cancel out and go back to the original image. 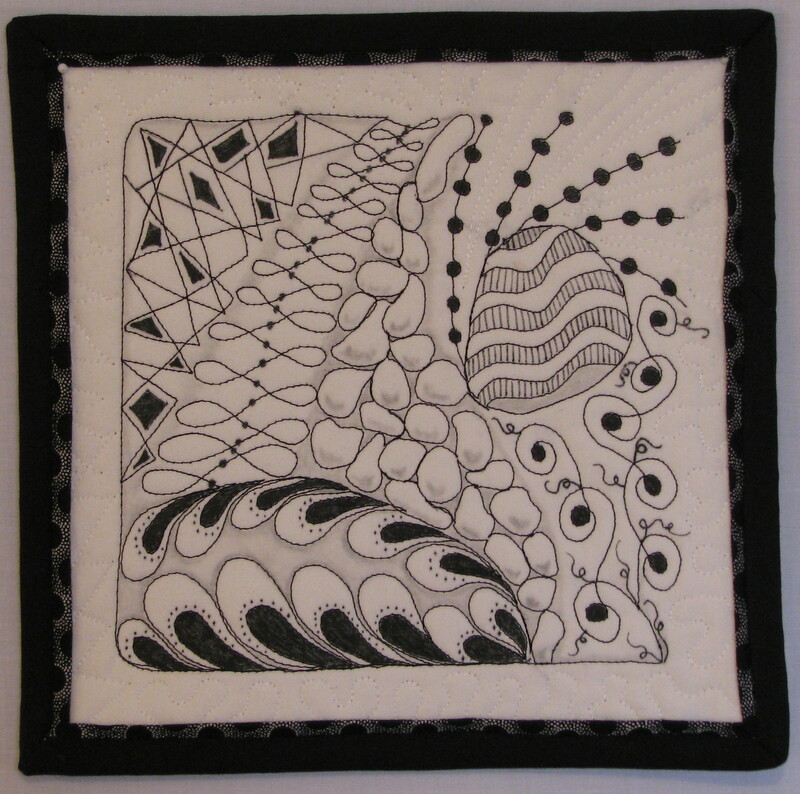 Now here is what happened with one of my little Quiltangle pieces when I applied the autocorrection. On the left below you see the original photo. On the right is the photo with auto correction. Now it is possible that I could have fixed this in the original image if I had adjusted the white balance on my camera. So far I haven’t figured out how to make the white balance feature on my camera work, so this is the best I can do right now. Here’s another example. Look at the difference in the photo I use for my Quilting with a Walking Foot class. On the left is the original photo. On the right is after a little bit of cropping and the auto exposure correction. So try these two features of your software package next time you are using a quilt photo. I think you will be pleasantly surprised! 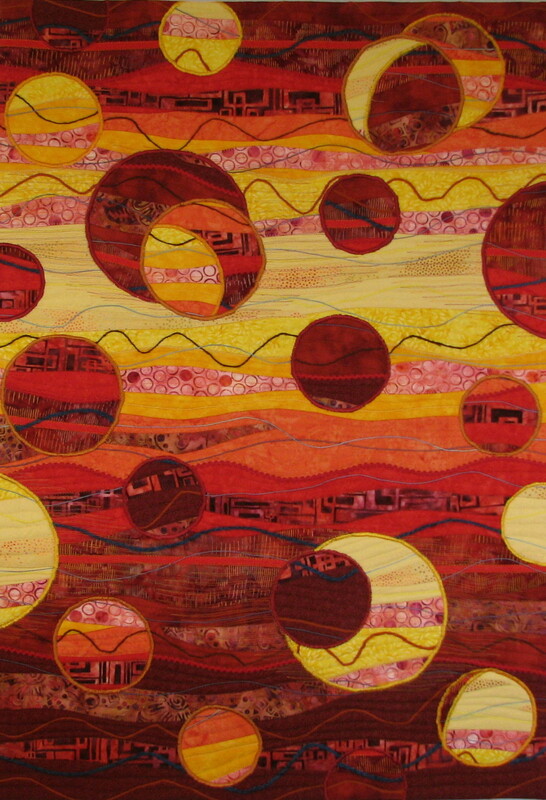 This entry was posted in Art Quilts, Contemporary Quilts, Quilt photography and tagged photo software features, Quilt photography on April 12, 2013 by Shirley at Mystery Bay Quilt Design.